Margaret Wilson-Hinds, age 67, is participating in a special workshop at the Royal National Institute for Blind People (RNIB) main office in Peterborough, England. Along with several other blind and partially-sighted participants, Margaret has just tried the 3Doodler Start for the first time. Beginning with the launch of the first 3Doodler in 2013, members of our community reached out to us to explore opportunities for using the 3Doodler to overcome a variety of learning obstacles. We spoke with community centres, teachers of non-traditional learners, physical rehabilitation specialists, and teachers of the blind—all of whom thought the 3Doodler could be used to make a real difference in individual lives. As our company has grown, so has our ability to focus on these needs, with our first challenge being to adapt the 3Doodler Start for the blind and partially sighted. "The real goal was to create a pen that blind and partially-sighted users could use themselves." Daniel and 3Doodler CEO Maxwell Bogue took note as feedback came in from those who saw how a 3D printing pen could fill a gap amongst learning aids, and provide support for the blind. However, there was one significant shortfall—up until that point most of the discussions had been with teachers for the blind and had been focused on educators using the pen to make tactile learning aids for their students. The real goal was to create a pen that blind and partially-sighted users could use themselves—placing the joy and accomplishment of creativity and learning directly into their hands. Three years later, the launch of the 3Doodler Start provided the pathway to make this possible. With no hot parts and a plastic cool enough to touch, we finally had a 3D printing pen that was safe for all users. Shortly after launching the 3Doodler Start, our team began the process of understanding what changes would be needed to create a meaningful experience for blind and partially-sighted users. With a proactive approach to new tech and how it could be applied to helping the visually impaired, RNIB was a natural fit for a collaboration with 3Doodler, and would ensure rigorous testing and feedback so that the product could be adapted and enhanced in a meaningful way. 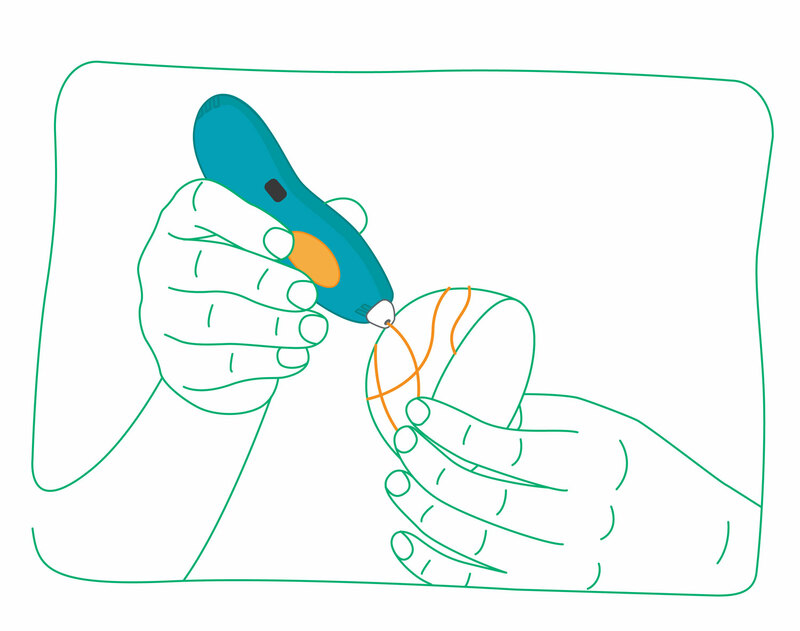 Conversations with RNIB provided the 3Doodler team with useful preliminary advice—such as incorporating tactile markings on the pen instead of braille, and the importance of audio instructions for blind users. 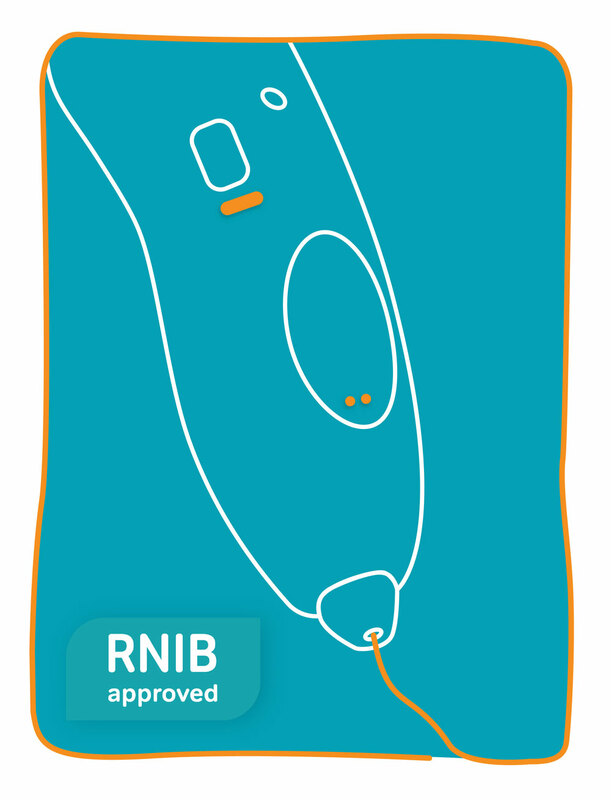 Now, after a year of feedback and testing—which included individuals, as well as two schools for the blind and partially sighted—the 3Doodler Start has been given the official RNIB product endorsement, a quality assurance mark for products identified as “easy-to-use” for those who are blind or have sight loss. And opening new avenues for the blind to express creatively isn’t just about innovation, it has a direct personal impact on people’s lives. "It’s a whole new way of being able to allow children, young people, and anybody who is vision impaired to be creative." 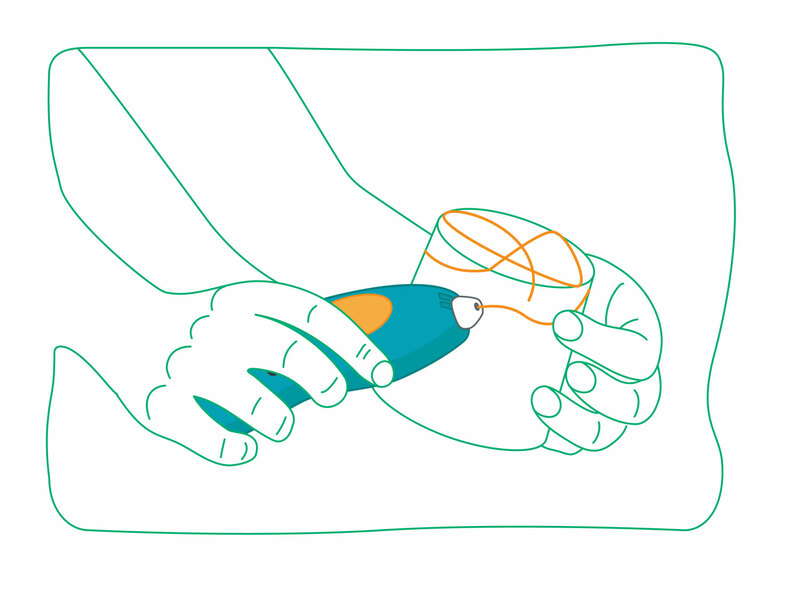 The official RNIB case study put the 3Doodler Start into the hands of both young students and adults, with participants aged between 8 and 78 and with varying degrees of sight loss and vision. Through participant feedback as well as recommendations from RNIB, the 3Doodler Start now has tactile buttons, new audio instructions to help users get started, and will soon have full instructions in Braille. “For me, I always enjoyed art but I could never fully see what I was doing,” says Mark Evans, at the RNIB workshop. “And I’d have the idea in my head, and I’d draw it on the page, and it’d look awful! Because I’m not a great artist,” he laughs. But with the 3Doodler, Mark didn’t feel the same sense of frustration he’d had in the past with traditional creative tools. “This would enable me to do things and be creative and produce a better quality of work and enjoy art a lot more,” he says. Everyone at 3Doodler is immensely proud of the work done with RNIB, as well as the impact these product changes will have on the creative lives of our users. We want to thank everyone who has been involved in this project to date, and underscore our commitment to creating a world where every person, regardless of ability, can have access to the tools they need to create and learn. Visit the official RNIB website to learn more about their work in supporting the blind and partially sighted.